Authored by davidedmundson on Mar 14 2018, 4:27 AM. 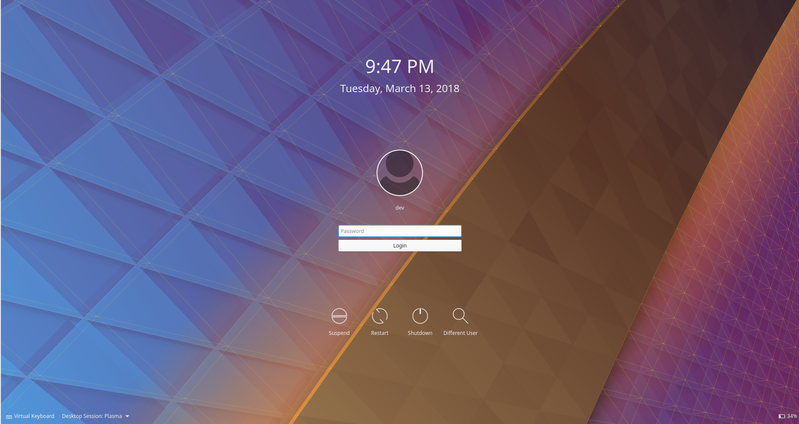 As discussed and agreed to by VDG (T7914), change the SDDM theme background from the blue color to the current Plasma wallpaper. davidedmundson added a reviewer: ngraham. Thanks for grabbing this, David!